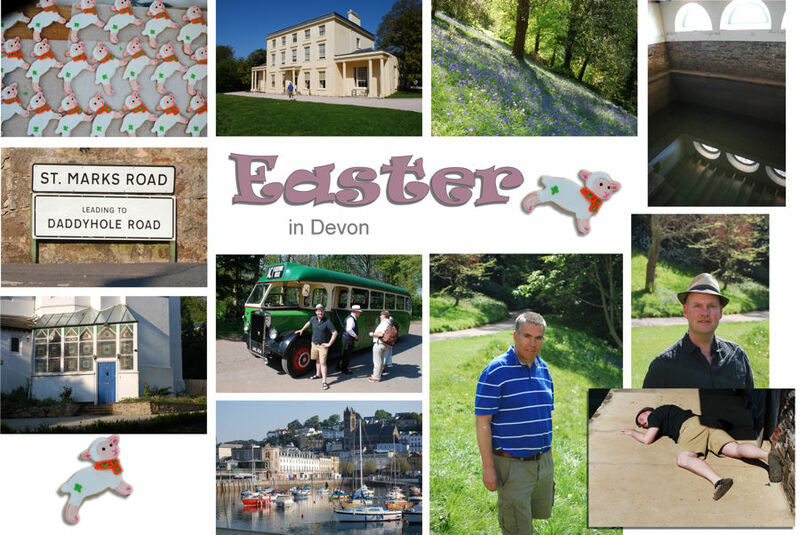 Georgenick's Easter holidays. Agatha Christie's Greenway. The Elephant, Torquay. Burg Island. Evil Under the Sun. The Elephant restaurant Torquay. Marstan Hotel Torquay. Riverford farm walks. Field Kitchen restaurant. We returned to Agatha Christie's Greenway. George recreates the murder scene from Dead Man's Folly at the boathouse, above. 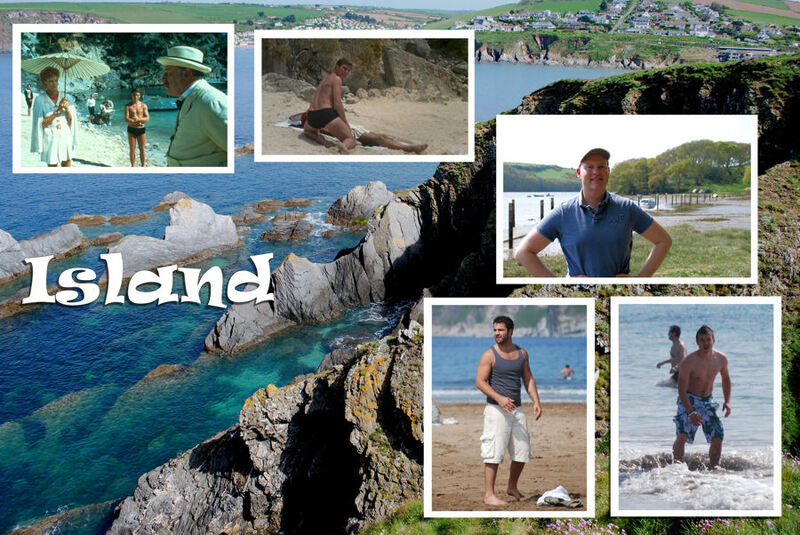 See our 2009 trip to Devon HERE. 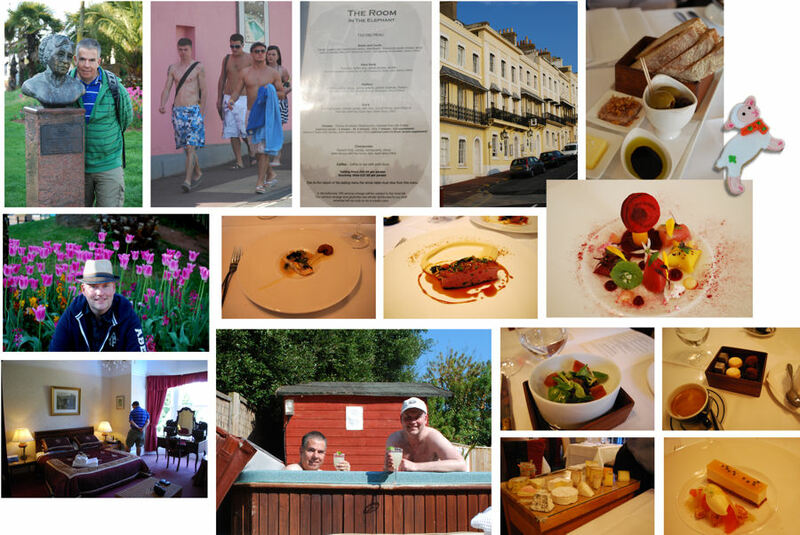 We ate a wonderful multi-course tasting menu at The Elephant in Torquay. First time for crispy fried ducks' tongues! We stayed at the Marstan Hotel, which had it's own pool, hot tub, and margaritas. 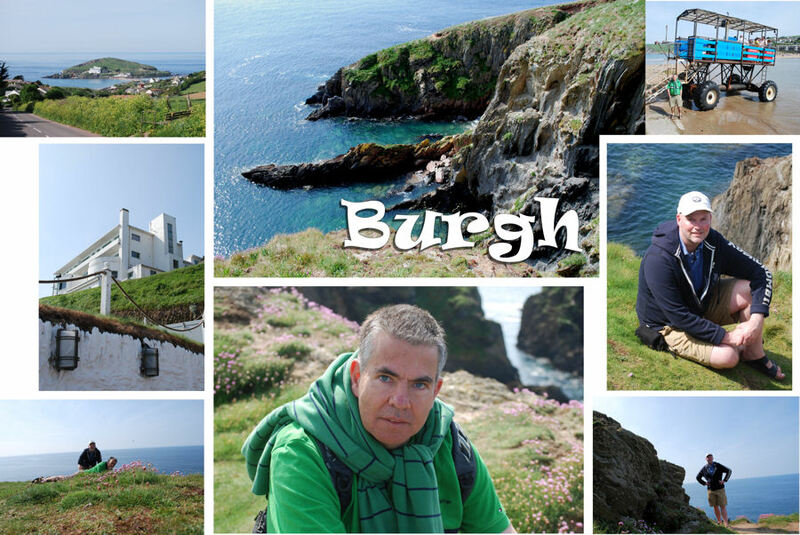 Burgh Island is the setting for Agatha Christie's Evil Under the Sun which was adapted into one of my favourite films in the 1980s. 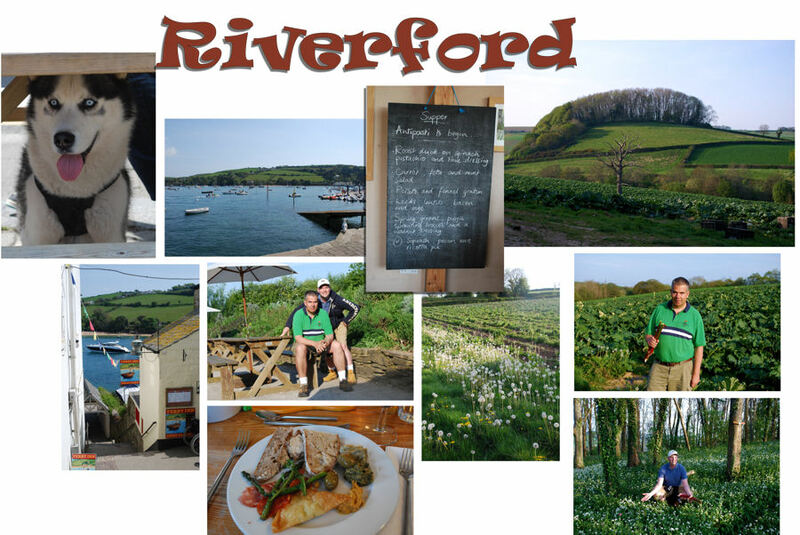 A trip to Devon always involves a walk on Riverford farm and a meal in their multi-award winning Field Kitchen restaurant.